If your credit score is dragging, there are many simple, yet often unknown, methods for raising it. Some people are completely unaware of the value of improved credit scores. Although the new VantageScore system provides an alternate scoring method for lenders to use, the important concepts are the same for all credit models. There are currently more variables in calculating credit scores than any of the three major reporting bureaus care to share. These companies, Equifax, TransUnion and Experian, use a person’s payment history, number of trade lines, or debts, balance on a debt versus total credit amount given, and other negative factors like bankruptcy, tax liens and trouble with the law to assign a number to every person in the country, who is of legal age. This is what is known as a credit score. A credit score might be in the 400 range, which is extremely poor, or it can go above 800, which is nearly perfect. Regardless of what your score is, it will follow you every where you ever go, and it will change monthly, which can be a good thing, if you follow the tips for increasing your score, outlined below. This is just a brief summary of how credit works. Whether your credit score is low or high, everyone can use a few more points on the positive side. Here are 5 keys to fix your credit and improve credit scores. Remember, if your score is low, it won’t jump immediately. It usually takes two or three months to see any kind of change on a score, once you begin employing these tactics. Immediately review your credit reports and dispute any inaccurate information. 1. Never pay a debt late. This is the number one credit score killer. Remember, credit reports and credit scores are largely about your ability to pay debts on time. Not only will your score drop following any payment that is late beyond the grace period, but potential lenders will become reluctant to help you when they see you aren’t paying all bills on time. 2. Pay your mortgage and car loans first. If you find yourself in a bind one month, and you can’t meet all of your bills on time, make paying your mortgage and car loans your top priorities. Mortgages and auto loans usually count for more on your credit score than other debts because they are bigger debts, and in most cases you have them longer. Consequently, they demonstrate your ability to pay better than do things like your cell phone bill. You can always say you lost a cell phone bill, and lenders won’t really care, but no one forgets to pay their home or car loans. Paying a mortgage on time will improve credit scores rapidly. 3. Get ONE new credit card, and use it — but don’t abuse it. Most people are shocked at this advice. So many people say that credit cards are evil and are the biggest problem with bad credit. This can be true. If you have a credit card or several and all are maxed to the spending limit, this will hurt your score. So, get a card, spend a few hundred bucks, and pay off the balance the second you get the bill. Do this as often as possible. This is one of the best ways to improve scores. 4. Reduce the balance on any current credit or retail store cards. If you have a Sears card (something you really never need), and it has a limit of $500, and you owe $519, because you’re being hit monthly with over-the-limit charges and you’re paying the minimum, you are in a black hole that is devouring your credit score. Stop using the card, and pay it down as quickly as possible. High balance-to-limit trade lines are a real power drain on your credit score. 5. Consolidate credit card debt. If you do not have a credit card, use tip number 3. If you have four or five, though, look for a new card, offering a higher balance and pay off all of your other cards with the new one. Having numerous credit cards with balances makes you look like a high risk to lenders, and it makes improving credit difficult. So, combine credit cards with balances onto a single card or use equity in your house, if you have any. 6. Leave good credit on your credit report. Old debts you paid off on time should not be removed from your credit report. These old debts indicate that you are reliable and trustworthy, so they are a boost to your credit rating. Since a long history of good debt is a powerful testament in your favor, trying to remove debts as soon as you pay them off is counterproductive. Instead, let good debt sit on your credit report for as long as possible. 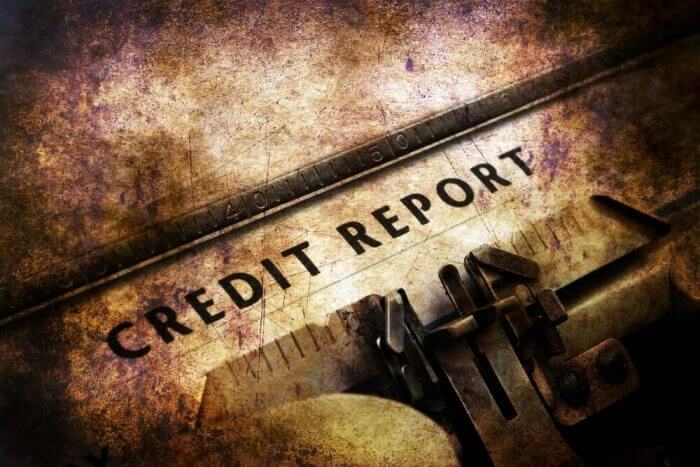 Remember: Establish credit early in order to build a good credit profile. As I’ve said before, “bad credit is 50% habit“. You MUST do your due diligence, starting right this moment, to get on a better path. The first step: order your credit reports from all three agencies. Review the information item by item. Dispute ANYTHING that is inaccurate (even if the balance is incorrect by one dollar, they’ve misspelled your name, your address is incorrect, etc.)…. ANYTHING. And begin this process today. Credit counselors are professionals who can help you with your financial difficulties for a fee (either a flat fee or an hourly rate). Typically, a credit counselor contacts your creditors and negotiates a compromise regarding the repayment of your debts. Some arrange for consolidation loans. Often a credit counselor can persuade a lender to reduce its interest rate, waive late fees and penalties, or accept a longer repayment term. This allows you to pay off your debts in an orderly and affordable manner. Some credit counselors may also offer other services, such as investment advice, once you have resolved your debts. Some even claim success at persuading creditors to forgive debts completely when the debtor faces extreme financial hardship. Caution: With few exceptions, however, there is little that a credit counselor can do that can’t be done by a nonprofit credit counseling service such as the Consumer Credit Counseling Services (CCCS). The advantage of going through CCCS is that fees are minimal and can be waived if you are unable to afford them. A professional credit counselor may take an occasional pro bono case but typically must collect fees to make a living. Professional credit counselors are quick to point out that they have no relationship with any creditors. You pay them for their services, so you are their client. In contrast, nonprofit credit counseling services, such as CCCS, are funded almost entirely by creditor contributions and donations. Many speculate that this makes the nonprofit credit counseling service merely a collection agency for the major creditors. When can it be used? If you have bad credit or are simply having trouble with your finances, you definitely qualify for some form of credit counseling assistance. However, professional credit counselors charge fees for services rendered. Accordingly, you should have a few coins left in your piggy bank when you go to see one, although most will offer a free initial consultation. How Can Credit Counseling Help Me Cope with Bad Credit? You may avoid or reduce interest, late fees, and penalties. Credit counselors can frequently negotiate with your creditors to reduce or eliminate interest and penalties, reduce payments, and extend terms. This makes repayment more feasible for you. Professional credit counselors work for you. When you hire a professional, you are the client. Professional credit counselors typically collect 100 percent of their fees from the debtor and nothing from the creditors. Accordingly, there is no question regarding conflicts of interest when the counselor is negotiating a repayment plan. Are there tax implications? In some cases, a credit counselor can negotiate for a reduction in the principal balance of your loan or total loan forgiveness. When all or part of a loan is forgiven, the amount forgiven may be considered taxable income to you. In contrast, when you receive a discharge of your debts by order of a federal bankruptcy court judge, the amount discharged is not deemed taxable income to you. Keep in mind, counselors can’t help everyone 100% of the time … All too often, debtors pay a credit counselor to restructure their debts or formulate a repayment plan, only to find out that it can’t be done or that they still can’t afford the monthly payments. These debtors end up in the office of a bankruptcy attorney, shelling out even more cash to pay attorney’s fees. If there is no hope for your case other than bankruptcy, a reputable credit counselor should tell you this before taking any fees. Make an effort to seek out a reputable credit counselor. Look for one that has been in business in your community long enough to have established a track record and a good reputation. Talk to more than one, and compare notes. Compare what a credit counselor has to say about your case with what a CCCS counselor has to say about your case. Get the opinion of an attorney, also. All of these should offer free initial consultations.